What are M3U8 Files? What is it Related to M3U? The M3U8 file is an "Extensible Playlist" file format, which uses UTF-8-encoded characters. These files are used by various media applications and online radio stations for describing where media files are located. They are plain text files that do not contain any actual audio data. A file with the M3U8 file extension is the Unicode version of M3U file format. HD Video Converter Factory Pro is a powerful program that allows us to download M3U8 video effortlessly. Besides, it allows us to convert downloaded video to 300+ formats and devices such as iPhone X, iPad, Android phone, TV, etc. with great quality and fast speed. Try it out now! These M3U8 files can be opened in the normal way of playing media files, and double-click to play M3U8 files when these files are associated with these players. How to Convert M3U8 to MP4 with M3U8 Converter? If you want to convert M3U8 to MP4, or any other media format, I have to remind that M3U8 files are just playlist files that they do not contain any actual audio & video data. This means that unlike MP4 or MP3 file, M3U8 file contains only text that cannot be actually played in any media player. They are just the path of media files. If you are looking for a video converter that can directly convert M3U8 file to MP4 or MP3, I don’t think there is such M3U8 converter on the market. But after you got the actual M3U8 video URL, some media players can act as M3U8 file converter to convert M3U8 to MP4 or other formats. Now follow the following steps in VLC media player. 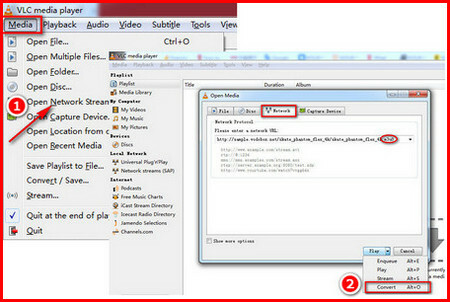 Step 1: Open VLC media player and select “Open Network Stream” under Media table. Step 2: Paste M3U8 video URL into the network URL box, and then select “Convert” in the lower right. Step 3: A new window will pop up after clicking Convert. Select MP4 as output video format and then set the output folder path. Tips: VLC allows you to edit selected profile by clicking “edit selected profile” icon including container format, video codec, audio codec and subtitles. Step 4: After all settings are done, you can click “Start” to convert M3U8 file to MP4. The output MP4 video will be found in the destination file. A video tutorial is provided to help users convert M3U8 to MP4 better. Moreover, to help users export M3U8 files, we recommend using the M3U and M3U8 Export Tool. It is a Windows program that takes a Winamp playlist, finds the music files, and copies them to a single location such as a folder, USB stick, portable device, or network location. Directly download M3U8 files easily to your iPhone, iPad, Android phone, TV, X-box, etc. Directly convert the downloaded M3U8 files to MP4, AVI, MKV, FLV, MOV and more other popular video formats. 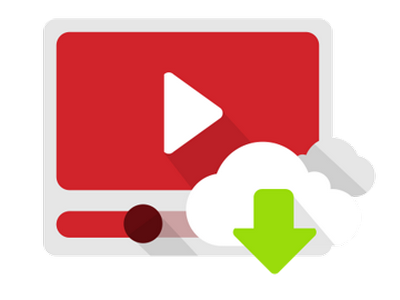 Download regular videos from YouTube, Dailymotion, Facebook, Twitter, LiveLeak and more video-sharing sites.